While it can be nice to get lost in a good fantasy world from time to time, our maps here at Superheroes Direct are great for helping you get your bearings in various mystical lands. In this category, you will find maps featuring iconic kingdoms from pop culture such as Westeros as well as the world of Middle Earth. 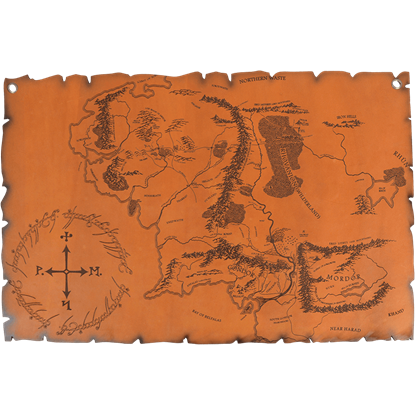 Excellent pieces of home decor, our maps are high quality collectibles that will delight any map enthusiasts as well as fans of these popular series. 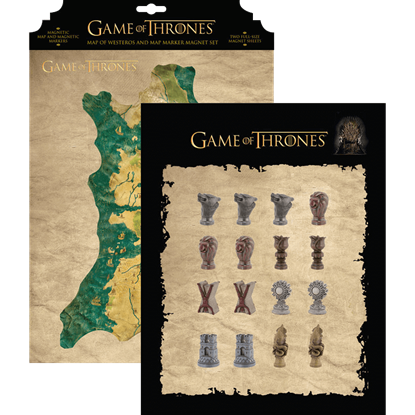 Many of our map sets also come with sets of markers, such as our Game of Thrones Map with Marker Set. Keep checking back at our Map category here at Superheroes Direct for updates to our growing supply of pop culture maps. 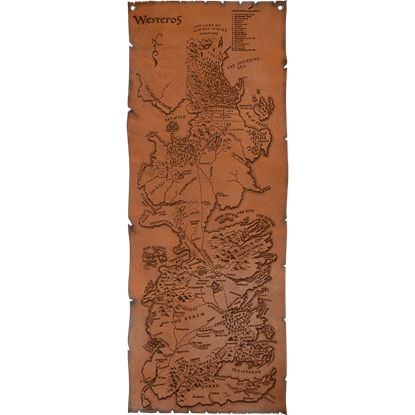 With this map of Westeros, you can not only plot your own adventure, but also mark pivotal locations as well! 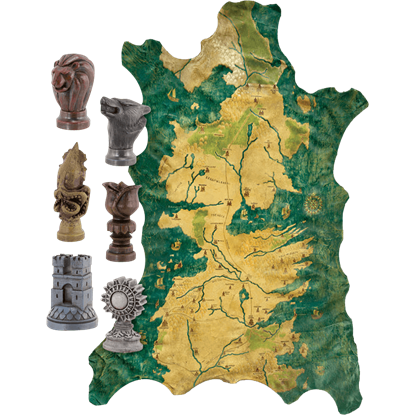 This Game of Thrones Map with Marker Set is quite the display piece, with every aspect and piece being rendered in full color. In the HBO adaptation of Game of Thrones, Robb Stark plots the movements of opposing armies using a map of Westeros painted on animal hide. The Map of Westeros and Magnet Set recreates this prop for your enjoyment.